Lonnie Wheatley, TULSA, Okla. (June 27, 2017) – R.J. Johnson is half way to a fifth-consecutive number one outcome in the Beaver Stripes Non-Wing 360 Sprint Car Power Rankings as he holds the lead in the Mid-Season update. Finishing atop the Beaver Stripes Non-Wing 360 charts over each of the past four seasons with double-digit victories each time, the Phoenix, AZ, racer has already racked up eight wins in the Non-Wing 360 ranks. 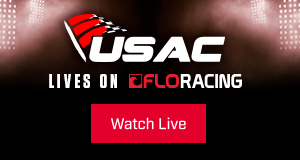 Among those eight Johnson triumphs are a pair of USAC Southwest wins, as he holds a 24-point advantage in his pursuit of another series title. 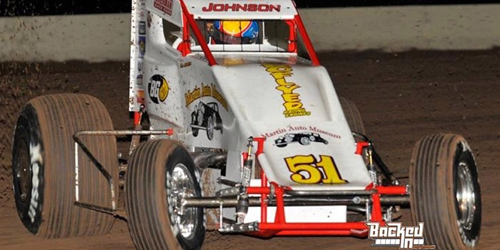 Johnson’s holds a 39 point lead over Shon Deskins in Beaver Stripes Non-Wing 360 Power Rankings, with Deskins moving to the second spot on the strength of his fourth overall win of the season this past weekend in NMMRA action at Albuquerque’s Sandia Raceway. Deskins is just two points ahead of third-ranked Ryan Bernal, who has made the most of a limited amount of Non-Wing 360 starts by collecting a half-dozen wins. Finishing second in Beaver Stripes Non-Wing 360 Power Rankings three times over the past four years, Charles Davis, Jr., is currently ranked fourth with Cali shoe Austin Liggett rounding out the Mid-Season top five. The balance of the Mid-Season top ten includes Jake Swanson, Stevie Sussex, Danny Faria, Jr., and Vander Weerd twins Jace and Richard. 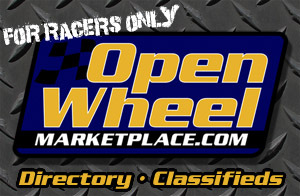 The Beaver Stripes Non-Wing 360 Sprint Car Power Rankings are a part of the Open Wheel Power Rankings that also includes STIDA Winged 410s, Momentum Racing Suspensions Non-Wing 410s, Rod End Supply Winged 360s, www.midgetmadness.com Midgets and 305s presented by Dodge City Raceway Park.